Why Hire Professional Piano Movers? Home / Uncategorized / Why Hire Professional Piano Movers? A piano is a grand instrument that is one of the most cherished furniture. The piano is one of the most treasured resources for the owners. Pianists always take care of their instrument and make sure that proper care is taken care of the device. Moving a piano can be a very hectic task and for this, you need to hire the professional piano movers. It is highly essential to get the help of the experts and specialists who have gone through the specific and robust training on the moving of the piano. Those who are looking for the ‘piano movers near me’, should definitely go for the adept professionals who could help you in the same. A good piano mover company is the one who helps you in the whole process and transfers your musical instrument in a better way to the next location. There are various organizations that will keep your budget in mind along with the piano storage cost and the moving cost and make sure that it does not your budget. An organization that keeps in mind all such points should be hired to move the grand piano efficiently. 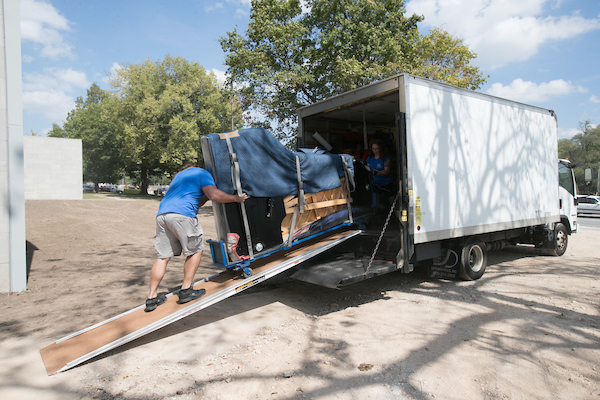 There are numerous organizations however it is important for you to choose one of the best organizations for moving out your piano to a different location. This requires high skill, technique, and knowledge for the better movement of the piano from one location to another. Always choose a company that specializes in providing you with all the types of storage solutions while you are shifting to a new location with your instrument. The organization you hire should always be the one that takes proper care of your piano. Your instrument should be safe with them. There should be fully equipped transport systems and devices to carry the piano from one place to another. There should be security measures as well to transfer your piano safely and in a better way. There should be CCTV cameras, latest security measures, fire suppression system, burglar and fire alarms as well. Also, make sure that the pianos are stored with the help of the top quality technicians in their top class techniques. The cost of piano moving should be efficient than piano storage cost. The pianos should be wrapped on with the cushions on the sides to provide better support to it without any damage. The uprights of the piano should also be safeguarded and padded along for the safe and easy moving. The process will be smooth and swift once you hire one of the best experts in this field. It is the duty of the customers to research well before hiring an organization for the piano moving and storage services. The piano services that you hire must be efficient and should always take you to safer level. Are You Looking For a Piano Moving Quote? How Much Does Piano Storage Cost? This is your one-stop piano service shop for all your piano needs.